This book has been officially deemed a "chirp." 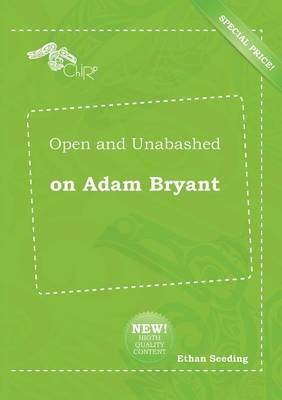 Chirp: A term coined by the legendary copywriter Igl Keavort which describes funny, absurd, obscene, and cynical garbage harvested from the internet and consolidated into one crazy literary format related to Adam Bryant. Don't buy THIS book if: 1. You're not sure your nerves can take it 2. Your mummy raised you to be prim and proper... 3. You're planning on getting pregnant in the next five minutes. 4. You think the world just can't amaze you anymore... Two hours before absorbing any "chirpology," please observe the following safety precautions. DO NOT drink, use drugs, over eat, or engage in any activity that will cause you or someone else to become pregnant. As such, you agree to hold us blameless for any subsequent modification of your thought patterns, or side-effects, including, but not limited to, laughter, nausea or anger resulting from the purchase or reading of this book.